For more information about EBLIP10, follow @EBLIP9 on Twitter or consult our tab on this website. Presentations that have been shared by presenters are hyperlinked or attached below. Many thanks to our presenters who were able to provide access to their presentations! For shared poster presentations, please visit the Program tab, select the Poster Sessions dropdown, and consult the Accepted Poster Sessions content there. Thank you for joining us in Philadelphia for the 9th International Evidence Based Library & Information Practice Conference. EBLIP9 was a great success! We welcomed 147 attendees from eight countries to the Drexel University campus for three days of concurrent sessions, inspiring keynote speeches, poster sessions and several networking opportunities. Be sure to check out the EBLIP9 Conference Photos or the EBLIP9 Storify Page to relive the fun! Over the coming weeks, we will post any presentation slides on this website as we receive them, and please check this space for updates. To our presenters: Want to share your slides? please send them to us at EBLIP9@drexel.edu and we'll post a link to them on the conference website. Congratulations to the EBLIP9 People's Choice Award Winners! First Place: Savannah Kelly – First-year Students’ Research Challenges: Does Watching Videos on Common Research Struggles Prior to Library Instruction Increase Students’ Confidence? June, 18 – 21 2017. Philadelphia is a major U.S. city rich in history, easy to travel to and within, and with diverse interests, attractions and culture. It is the second largest medical and education center (60+ institutions of higher education) in the United States and home to Drexel University, the country’s 14th largest private institution. The University has a long tradition of practical training, civic engagement and academic technology leadership – and was ranked second by U.S. News & World Report as an up-and-coming U.S. university. As the co-chairs of the EBLIP9 conference Local Organizing Committee, we wish to join the discussion of reactions to the executive order that limits entry into the United States for travelers from seven countries. Our comments are primarily directed to those with concerns about attending the EBLIP9 conference in Philadelphia. We understand the moral dilemma some people face and their need to take action to express their frustration with the travel ban. We believe that abstaining from attending this academic conference ultimately limits opportunities for the free exchange of ideas and global professional networking. The importance of joining together and engaging in critical discussions about evidence-based practices for librarians and others around the world today cannot be stressed enough. Last year, we were proud that our proposal was accepted to host this international gathering in the sanctuary city of Philadelphia and at our university, both long committed to diversity and inclusion. Although concerned about the impact of the executive order, we will continue to diligently organize a robust on-site conference to provide a safe and open venue for the free exchange of ideas and scholarly research. 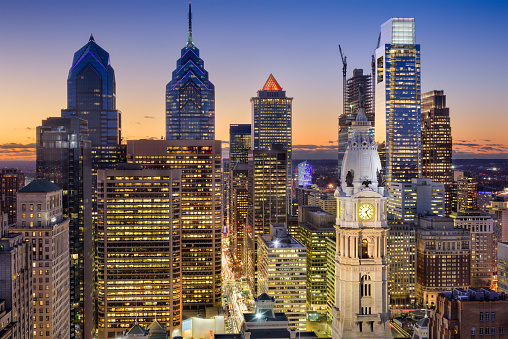 We welcome delegates from all parts of the world to Philadelphia – including people from the countries named in the executive order – and we urge members of the international library and Information science community to attend EBLIP9 this summer. In regards to traveling to the conference, we will offer any assistance we can to help members of the international community attend the conference. We are continuing to explore ways to host some virtual sessions so researchers can attend remotely, and more information will be announced over the coming weeks. In the meantime, please contact us at EBLIP9@drexel.edu with questions or concerns. Drexel University Libraries is proud to be the host sponsor of EBLIP9. All conference sessions and events will be held on Drexel's University City Campus, unless otherwise noted in the conference schedule. Complete location and room details will be announced in early June.